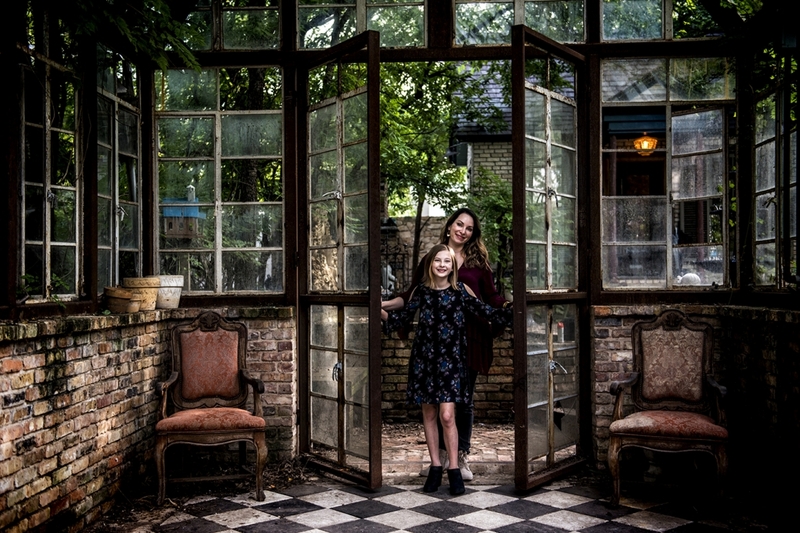 Over a year ago I saw a photographer’s post that had this stunning vintage greenhouse as a setting. I was instantly in love without having seen it. A not so much secret anymore, is the Sekrit Theater in east Austin. A private property that is shared with the public by it’s owner, is truly everything that is “Austin” – or least used to be. When I arrived in Austin some twenty years ago, it was much, MUCH smaller of a town than it is now. And when I arrived the locals were already complaining that it was growing too much. An array of college students, artists and musicians filled the century old buildings and livened the streets … it was eclectic and awesome. Which are two words I’d use to describe Sekrit Theater. There are a bunch of interesting elements to the property, each with their own story. My favorite, and probably most photographers, is the greenhouse. I just assumed that it was part of the property when Beau purchased it eleven years ago, but no. He built it. Let me say this again – he built it. He constructed the steel frame and bricks and all the glass is reclaimed from other structures. In a day in age where nothing is built from scratch with such attention to detail, knowing this about it, makes me love it even more. And I promise, you will too! Below is information on mini session I will be doing at Sekrit and hope you will come along with me to discover one of the last true old Austin elements there is left! Sekrit has more than just the greenhouse – there is an old pickup, a couple of vintage buses, beautiful chandeliers, a mural and an open field with endless possibilities. We can probably hit one or two of the locations in the time of the mini shoot (or you can consider doing a full length shoot on another date). The nitty gritty: After your session, you will receive an email with a link to a gallery that will have a selection of images for you to choose from. Once you’ve picked your top 15, or more, I will go ahead and do a final edit of the high resolution images within one week. Just in time for holiday cards! To reserve your spot, please contact me directly at sasha@sashahaagensen.com with preferred time slot. I will send you an invoice which will be due in 48 hours to hold your spot. © 2019 Sasha Haagensen|ProPhoto Photo Blog Design by Northfolk & Co.